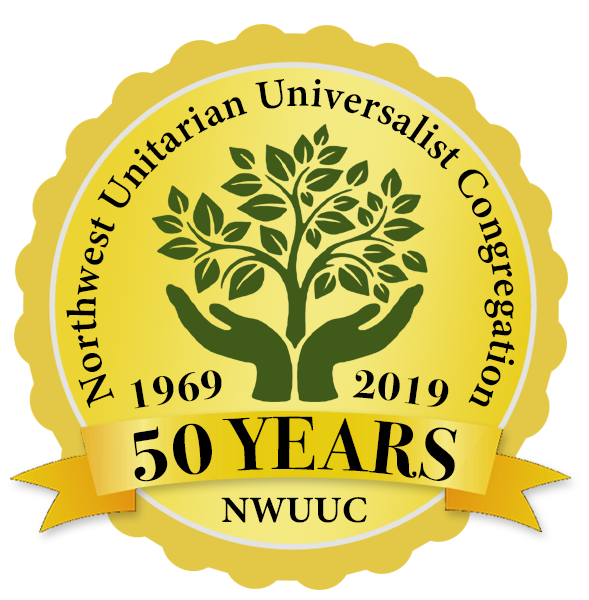 Hawk’s Hoop Covenant of Unitarian Universalist Pagans (CUUPS) took form when a group of like-minded individuals at NWUUC came together. During our first circle, we read “Sacred Hoop” by Black Elk from our hymnal. As we read, a red-tailed hawk flew down, perched on a branch and appeared to join our celebration. Taking this as a sign, we chose the name Hawk’s Hoop. We draw knowledge and wisdom from all the sources of the UU tradition, especially the “spiritual teaching of Earth-centered traditions which celebrate the sacred circle of life and instruct us to live in harmony with the rhythms of nature.” For us, the seventh principle of “reverence for the interdependent web of existence, of which we are a part” resonates strongly as we look to nature for spiritual growth. We believe in the capacity for myth, meditation and ritual to shape the mind and motivate change through human hands. We encourage a free, responsible and personal search for truth and meaning. We hope to share the collective wisdom of the past and present and encourage leadership and participation by all members. In cooperation with the leadership of Northwest, Hawk’s Hoop celebrates the eight holidays of the Wheel of the Year. We will usually observe the holidays after services on the Sunday closest to the traditional date. Our celebrations honor the natural cycles of the seasons and the spiritual meaning of each traditional holiday. They are designed to be family friendly and open to the public.